2. The focus – Reaching the lost was the primary focus of the early church, and an integral part of each believer’s life. People were saved, transformed and became active disciples. It is Biblical that we do the same. Many of us need simple tools to help us share the Gospel with someone who is open and willing to make the life-changing step of following Christ. Below are two ways that help us in presenting the basic Gospel message: “The Four Spiritual Laws” by Campus Crusade For Christ, and a method using your hand to share the elements of the Gospel. 1. 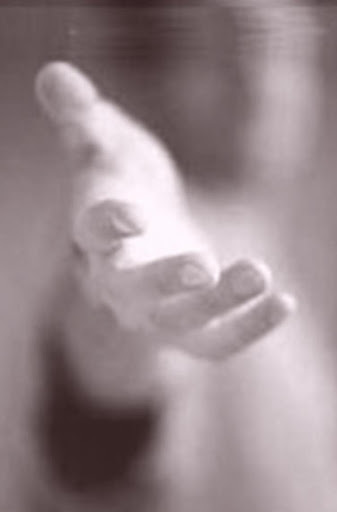 Thumb (Hitch hiking) – Heaven is a free gift of Grace from God to all who believe and receive. 2. Index finger (Pointing, conviction) – Because man has broken the Law of God, we are sinners separated from God. We cannot save ourselves. 3. Middle finger (Tallest) God is Right and must judge sin but He is also Just and Merciful and does not want to punish anyone. Jesus commanded us to make disciples, not just win converts. If the Holy Spirit uses us to lead someone to Christ we are then responsible to help them grow in this new relationship. If it is not possible to do that ourselves then we must place them in the tender care of Christian Life Center people who will shepherd. 2. Lead them into the baptism of the Holy Spirit (Acts 1:8; 2:38-39; Romans 1:16). By faith we can receive the power of the Holy Spirit to live the life He wants us to live and to bring others to Christ. 3. Lead them into water baptism (Acts 2:38; 8:36). This is a public statement that they have decided to follow Jesus as His disciple. 4. Teach them to talk to Him in prayer (Philippians 4:6-7; 1 John 5:14) and read God’s Word, the Bible (Psalm 119:105; 2 Timothy 2:15; 1 Peter 2:2). A good beginning might be to read the Gospel of Luke and then the Book of Acts. This is the story of Jesus and the beginning of the church written by the same person, Luke. 5. Invite them to regularly attend church (2 Timothy 3:16; Hebrews 10:25). If you brought them to Christ it is important that they go to the same church with you and become involved in the Lord’s work. 6. Teach them the importance of serving Christ and His Church (Ephesians 4:16). 7. Teach them to share their new faith with friends and family (Matthew 28:18-20). This is a great time to do that since most, if not all, their friends are non-Christians. I’M PRAYING FOR MY FAMILY AND FRIENDS! Write the names of three people who you think are close to accepting Jesus Christ. Pray over this list as often as you can and watch the Lord do great things through you! This entry was posted in Reaching People For Christ. Bookmark the permalink.